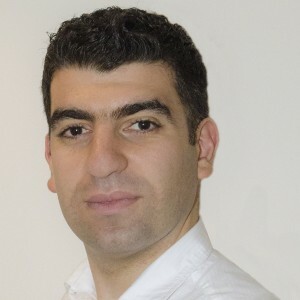 Narek has over 10 years of experience in Software engineering. Due to his strong passion for continually pursuing more efficient ways of delivering software Narek has experienced various aspects of delivery. Having started as a software engineer, he has since moved into management and has particularly focused on process and practice innovation. Narek is a talented leader with a keen eye for innovative ideas. He has run major initiatives in various companies and has successfully applied lean thinking and agile practices in diverse, distributed and multi-cultural environments. Narek works as Director of Technology at Hotels.com (Expedia Inc.). Since joining the company’s Technology Management team in 2011, he has played a pivotal role in delivery technology that has supported a massive business growth. Narek is an organisational change coach, programmer, an advocate of lean practices, dad, husband and a passionate @ManUtd supporter. Getting new product features released to users is often a painful, risky, and time-consuming process. This talk walks through the evolution of processes and technical practices at Hotels.com that achieved rapid, incremental delivery of high quality, valuable new functionality to users. Automation of build, deployment and testing process, fundamentally improved collaboration between product management, developers, test engineers, tech operations enabled a world where software can be released to users in a matter of hours; sometimes even minutes. The first half of the talk will focus on analysing the technology and process changes that led to Hotels.com being able to go from a quarterly release schedule to applications and services releasing on demand. Delivering fast requires new methods and new tools, and we have to have the courage to leave old tools behind. At the heart of the talk is the notion that any positive change is achieved by constantly re-balancing investment in technology, process and people who drive the change. The final part of the talk argues that increasing pace of delivery is not enough. We will discuss how Hotels.com focuses on improving the pace of finding out which issues are worthless, to reduce the delivery of features that won’t add value to its customers. Expedia Inc. is a leading player in the $1trillion+ travel industry. Hotels.com is the hotel specialist brand of Expedia Inc. with 85 websites in over about 74 languages, listing more than 325,000 properties around the world. Hotels.com is a highly distributed and high traffic website with 2.5mln+ daily unique visitors; 800,000+ unique customer searches a day.